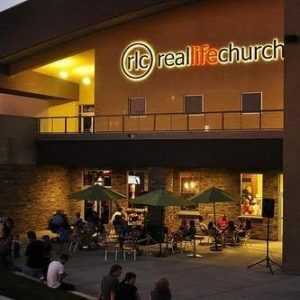 Jim Howard, lead pastor of the Valencia campus of the more than 6,000 member Real Life Church in California fatally shot himself in the head at home Wednesday after a protracted battle with mental illness. “It is with a heavy heart that I can confirm we suffered a tragic loss on our church staff this week. On Wednesday, January 23, 2019, Jim Howard — a beloved pastor here at RLC — took his own life,” Rusty George, lead pastor of Real Life Church began in a statement released on Facebook last Thursday. “As all of us who knew Jim can attest, he was a wonderful man with a deep love for Jesus and a passion for sharing the grace of God with anyone he met. He was also a tornado of energy, always looking for new challenges and opportunities to minister to others,” George said. Detectives also revealed that they began investigating the death of a person they suspect died from a self-inflicted gunshot wound in the backyard of a Valencia home on Wednesday. The Security operatives were alerted shortly before 3:40 p.m, before paramedics with the Los Angeles County Fire Department were dispatched to the home on North Sunny Creek Drive and police were called in to investigate a gunshot wound to the head. In his statement on Thursday, George noted that Howard had been battling with mental illness for a while and had even spoken publicly about his struggle with the disease. Howard had reportedly also served at Real Life Church for more than three years. “Sadly, Jim suffered in private with mental health challenges — some of which he bravely discussed in public — and was wrestling with some personal issues in recent months. This week he made the tragic decision to end his pain. He will be deeply missed by his family, friends, the RLC family and all those who were blessed to know him,” George confirmed. The Jared Monroe Foundation a California nonprofit dedicated to fostering awareness, understanding and support for Bipolar Disorder also urged those suffering with mental illness to reach out for help in the wake of the pastor’s suicide. “Our deepest condolences to Pastor Jim Howard’s family, friends and RLC family. Mental health challenges affect EVERYONE. Don’t suffer alone. Reach out if you need to talk. You don’t have to suffer alone,” the foundation advised in a statement on Friday. Other members of the Valencia community who knew Howard also shared their grief at his passing with Hometown Station.